As the number one retreat company for remarkable locations, Reclaim Your Self naturally delivers the best yoga retreats for hiking. 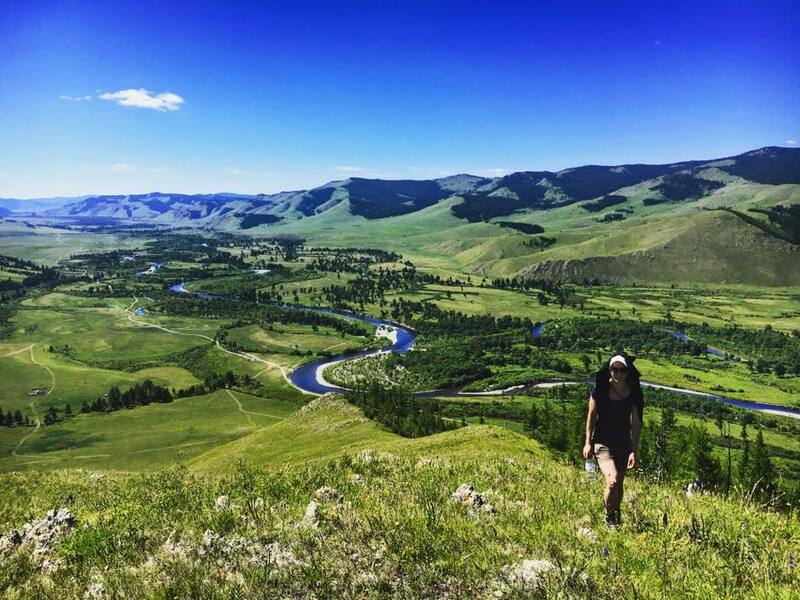 We figured out long ago that epic hikes over mountain ranges and glaciers are the perfect complement to yoga classes, adventure activities and ultimate relaxation. No longer just the domain of ramblers groups and Boy Scouts, hiking is enjoying a resurgence right now, and with good reason. The benefits of explorative walking are plentiful. Hiking is a fantastic workout alongside your retreat yoga classes, you gain a wonderful sense of accomplishment and gratitude when you reach the zenith of a mountain peak or make it across a vast glacier, and it’s a fantastic way to get the real health benefits of nature! There really is no better way to explore the boundless wonder that is Planet Earth than by lacing up your hiking boots and hitting the trails. A well earned rest atop a Norwegian mountain peak. Journey with us to the Arctic Circle to claim the dramatic mountains and beautiful fjords of North Western Norway as your hiking playground. Our motto for our Norway retreat is get out and explore! And you will be spoilt for choice with opportunity to get your hiking boots on and see all Norway has to offer in the best way: on foot! Earn some serious hiker points with a day trip to Husfjellet mountain. We travel there by boat through the fjords before embarking on a guided ramble through wild nature and beautiful flora. With a stop along the way for a healthy lunch picnic, we will climb to the top to enjoy the prize of our exertions: an unparalleled view over the Norwegian mountains and out to sea. Nearby Sukkertoppen mountain is another hikers’ paradise and makes for an epic climb. 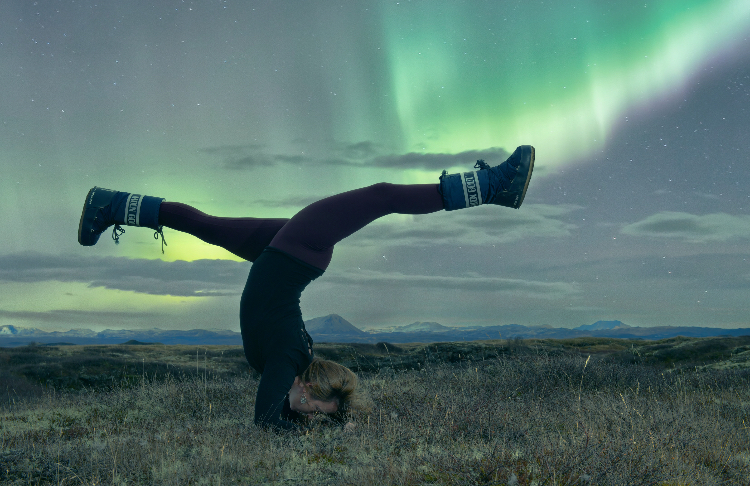 Emma Henry dropping for a mid hike yoga pose under the Northern Lights. Combine your walking holiday with vinyasa yoga classes with Adam or Jivamukti yoga with Emma on one of our two yoga retreats in the wilds of Northern Iceland. Here you will discover immersive adventure hiking over and under Icelandic waterfalls, up volcanoes and over snowy mountains. The remote destination means you may even catch a spectacular show of the Northern Lights while you adventure Iceland’s wilderness with your poles and backpack. You don’t get much more ‘bucket list’ than that! Enjoying the incredible view from the top on a hike on our Svalbard retreat. 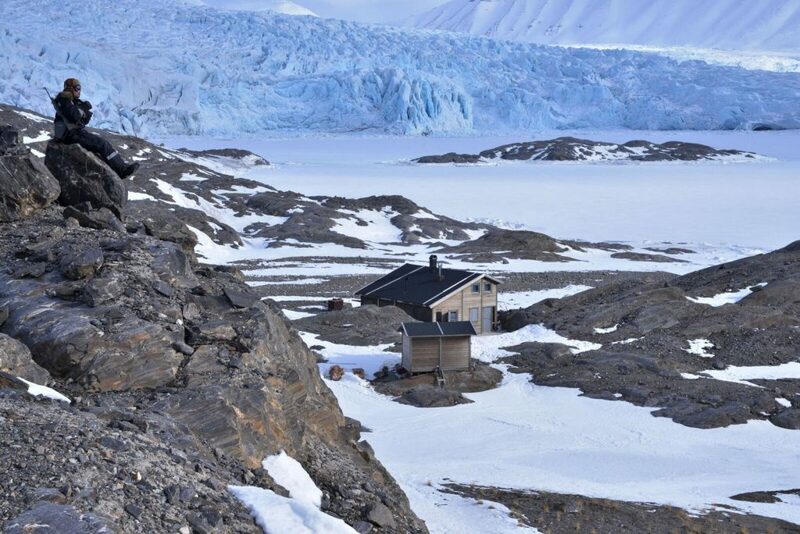 We have partnered with Basecamp Explorer and Emma Henry for an exclusive yoga expedition ans digital detox to Svalbard, a remote and remarkable ‘Arctic desert’ located halfway between Norway and the North Pole. This extreme and unique destination promises epic hikes of a calibre you’ll find on no walking holidays anywhere else in the world. The endless midsummer Arctic daylight gives you unrestricted time to explore the boreal land and spectacular glacier moraines, climb the nearby mountain peaks and hike the glacier which runs just 300 metres from our lodge. Give your tired limbs some TLC at the end of each day with an exhilarating sea bath or kick back and restore in the sauna. Inspired by our yoga retreats for hikers? Click here to see our full list of yoga holidays and choose the perfect retreat for you.